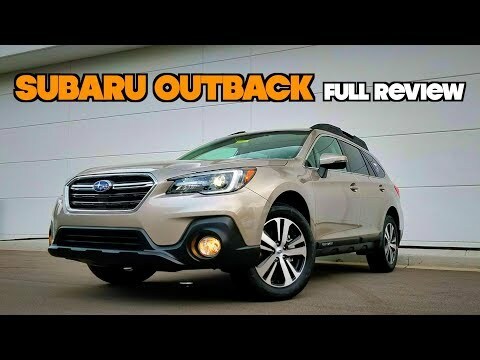 Love my 2019 Subaru Outback! It's one month old and I've had no problems other than when my daughter rides with me there is no room in the front for my purse which is a nuisance. It is otherwise very comfortable, quiet, has a smooth ride and all the bells and whistles since we got the top "Touring" model. It has the larger engine so has lots of power. Its lock system seems to be inconsistent...or I just haven't figured it out. The coolest high-teching car I have ever driven. I have had zero issues with the car thus far. The features are all really cool and slick. The plus is that it is a super safe car and I feel very comfortable driving it. The eyesight features tells you when you are going over the lines and will set a speed a certain distance from the car in front of you. Subaru Outback. Safety features and ease of handling. I purchased my Subaru for the following reasons: referral from other owners, researched reliability, safety, crossover vs SUV, economical, five star safety ratings, standard features included, blind spot, GPS easy to use, " comfort of seats, heated seats front and back, lift gate is great, cargo space.